How to Start Making More than $1,000/Month With Paid Surveys – Guide ( 2019 Updated ! ) ? Do you want to start making money with paid surveys right now? Look, everyone can do this … and EliteSurveySites is here to help. In fact, everyone can start making money with paid surveys in 10 minutes. It’s easy and free, and no skills are required (and of course, no need to pay anything for this) . But there are many things that people don’t know about paid surveys and that’s why they don’t earn as much as they can. That’s why our site exists. We post a lot of tips and hacks on how to make much more money with paid surveys. On our site we love to write a lot … 🙂 and go into a lot of detail. We also understand that there are many people who want to learn from us, but don’t like the fact that they have to spend a lot of time on our site reading about paid surveys. Although we highly recommend that you read much more from us ( you will really learn !) , we have created this beginner’s guide for people to start in the right way without reading too much. And it is 2019 updated! Give it 10 minutes to read and you will start making 10 times more money than other people. Every company needs to have a feedback from their clients. Your opinion on their products and services is very important to them because it helps them understand what people like and what not. This helps them increase the quality of their work and make more money, because the better products they develop, the more money for them. This is where paid surveys enter the stage. Companies pay you money to get your feedback. You spend time to answer their questions about their products, this helps them improve, and they start making more money. It’s a win-win situation. Although surveys look like a small business, the reality is that they are a very popular and common way used by companies to get feedback from clients. In fact, companies spend more than a billion dollars per year on researching their business. And the paid survey companies that we list here actually pay millions of dollars to their clients. Everyone staying and reading this post can get a small piece of these billions! Sometimes these companies will send money to your PayPal, they will give prizes, sometimes gift cards, sometimes they will send you a new product to test and then keep it. Note! The fact that you answer questions doesn’t mean that you need some special skills, qualifications, education and so on. You only give your opinion on products or services, which is different from answering questions requiring expert skills. You can really start making money today! No skills, totally free to start and very easy. And here is where we come! EliteSurveySites is here to help. We are not a survey company, we don’t pay money for surveys. Many years ago, we started to make money with paid surveys exactly like you. We understood how many mistakes people made and how many things people could do to make money with surveys. That is why we created this site. In brief, we are here to help you by giving many useful tips and hacks on paid surveys, and also give you the best survey companies that will pay you a lot. So, stay with us! How Much Money Will I Make With Paid Surveys? This varies. No one can tell you exactly how much you will make. There are people who spend very little time on paid surveys and use them for extra income only. On the other hand, there are people who spend a lot of time doing this the entire day and we call these people professional panelists. And you definitely can’t compare the income of these two groups of people. If making money with paid surveys full time works for you, then do it. We are not against that, of course. We only want to say that although we are an advanced blog about paid surveys, we recommend you to do paid surveys part time. Maybe you have a regular job, maybe you use other ways to make money online, maybe you are a student that is looking for extra income only. Paid surveys are great if you use them as a source of extra income. If doing paid surveys full time works for you, then do it, we are not against that. We are only trying to say that most people do paid surveys part time. So to answer the question about how much you will make with paid surveys, we will base our answer on the recent survey results. We asked about 1,000 people how much they make. 70% of them said less than $100/month, but 10% of them said over $1,000/month. What category you belong to depends ONLY on you! We can’t complete your surveys. But we are here to help. In fact, we can really help, because for many years we have been making money with paid surveys, finding many real problems, trying to give some solutions. If you spend more time on our site, we can really help you make more money with paid surveys. You have come to the right place. There is no way to become super rich or a millionaire with paid surveys, but there are many tips and hacks you can use to make much more money. 44.8% of the people are registered with fewer than 3 panels, 68.5% of the people are registered with fewer than 5 panels; 86.8% of the people complete surveys for fewer than 10 panels. Look, if you want to make a lot of money with paid surveys, you have to join many panels. The more panels you join, the more money you can expect. Join 3 Panels to See What Paid Surveys Are! Join 10 Panels to Understand Paid Surveys! Join 30 Panels to Make a Lot of Money! Every big survey company has one stupid rule: They believe that if they send you fewer surveys, they can expect better quality of answers from you. Unfortunately, this prevents people from making a lot of money through one panel. So, an easy way to avoid wasting money because of lack of offers is by joining multiple survey companies … so obvious! These are different companies. They don’t know what panels you are registered at and what you do with the rest of your time when you don’t answer their surveys. The more companies you register with, the more money you will make! Let’s do a quick count … Let’s say that on average you make $50 per month per survey company. Of course, for these $50, you don’t sit at your PC full day. Probably you spend about a few hours this month. The rest of time is yours! Now what if you join 10 companies, 30, or even more? This means much more money for you. Add also the ability to pick better offers. Add also the fact that you can potentially participate in each survey company contest, which are a lot. One day you can win! 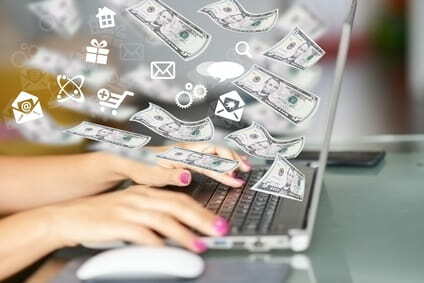 Add also many other ways to make money online. What if you are not satisfied by a company, but in few months you receive one high paying offer? Add on average $5 registration bonus from most of them. This means that if you register with 10 companies today, you have $50 bonus today only. If you really want to make money with paid surveys, don’t make the mistake of staying with few companies only. On this list, which we update frequently, we post some of the highest paying survey panels. Best Paid Survey Sites by User Rating 2019 – is a ranking where you tell us what panels are the best. Register with a lot of them today! Register Only with Legitimate Panels. We have already completed this task for you! 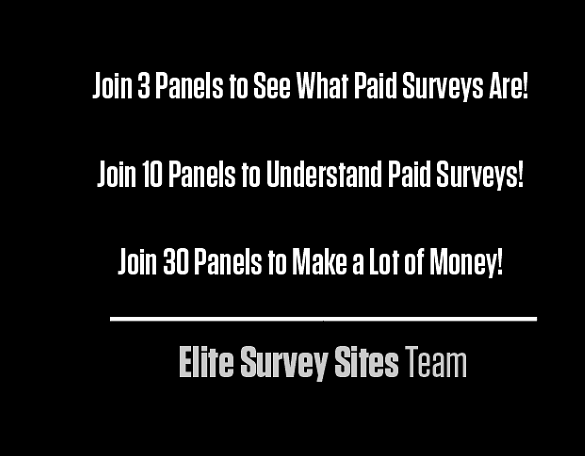 EliteSurveySites is a reputable source for paid surveys and you can be sure that all panels listed here are legitimate and tested. If you want, you can read more on how we pick and rank our surveys. If you want to, you can also read our guide on how to find legit paid surveys. Get to Know Every Panel Better. Yes, we said that you have to register with more panels. But when you join a panel, get to know them better. There are many benefits that people can expect if they know the panel better. Read their sites, their FAQ, join them on their social media, review their latest blog posts and forum posts from time to time. Many panels often post some new offers. If you know them on time, you will complete them and make more. Stick to Paid Surveys That Pay Cash Instantly. Payment delays are one of the main problems that new survey panelists face. You want to make money and to see your money now. So at the beginning, stick with surveys that have a very low minimum payout delay, those that pay instantly and that pay cash only. This will motivate you to continue completing paid surveys. On our list with the best paid survey sites, we post payment delays in the table. Don’t Use Your Regular E-mail Address when You Register. You will receive a lot of spam. That’s why you have to use a separate (but not fake) e-mail address. Note that this can be different from your PayPal e-mail address where you will get your payment. Also, note that PayPal allows you to add several email addresses, so you can get paid over this one. 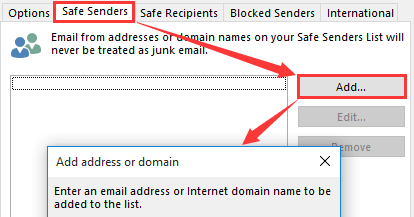 Add Their E-mail to Your Safe Sender List. Check where you receive survey offers from and include this e-mail address in your trusted lists. That way, their offers won’t be in your spam folder and you will be able to complete them instantly. Complete Your Profile Surveys Correctly. Your profile survey is the initial survey that you will have to complete. There you add some personal details about you. These details help survey companies match you with more appropriate offers, and also help to avoid or reduce disqualification. Profile surveys take some time, but this is a really important step that you have to make. Pro tip: Update your profile survey at least a few times a year or when there are some changes in your life. These things can help you qualify for more offers. Hint: Many panels have a registration bonus, typically about $5. Your money will be active after your profile survey is completed. So, the time you spend on your profile surveys is paid. Example: Let’s say that you want to start with paid surveys, and you register with 10 companies today that have a bonus of $5. This is $50 at the end of this day!!! Complete Every High Paying Offer Instantly. You have received a high paying offer that is available to you? Complete it instantly because these offers have quotas and when they meet it, the offer will be no longer available to you. We at EliteSurveySites teach people how to make money with paid surveys, but not how to scam survey companies. You have to understand that companies pay you but they want something from you – they want your true opinion. Give it to them and they will pay. There are many ways that companies use to determine if you are paying attention to their questions. We discuss them more in detail on our site. If they understand that you are dishonest, they will ban your account and all money in it. Don’t do that. Many people ask us if they can use a proxy to register. What does this mean and why do people want to use it? Using a proxy means that you fake your real location by masking your real IP address. Typically, people outside the US want to do that in case a survey company doesn’t allow registration from their area. In fact, when you use a proxy, you don’t fake your location only. You probably also put some incorrect details about you, or probably a fake Paypal account. This is against their terms. And these companies work seriously on that problem because many people try to scam them that way. And if they find out that you did this, they will ban your account and all of the money in it. Also, this is pretty illegal! Don’t do that! It is not allowed. 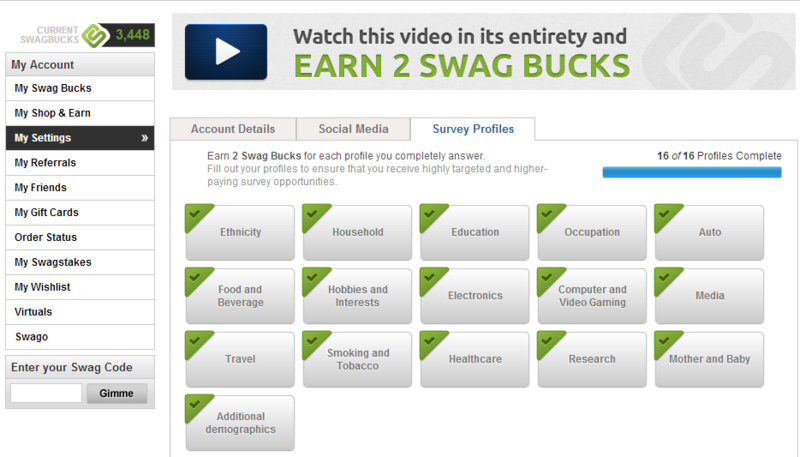 We at EliteSurveySites teach you how to make more money with paid surveys, but not how to cheat and how to scam companies. If you do this, this is not advice found on our site. You do this at your own risk!!! Because finding legit survey companies for people living outside the US is not really easy, we have completed a huge list of legit paid surveys in over 100 countries. So, find the panels listed under your country, register with your real details, and you are good to go. No money, no offers. Don’t give up. Don’t cancel your registration, because one day it can be different. Test with more panels. Read more tips from us. You really can start making money with paid surveys today. This was our list with quick tips on how to start making money with paid surveys. There are many more things that we can teach you. Again, this list was only for people who want to start making money with surveys without losing too much time on our site. For these that want to learn more from us, here are our top recommended materials. Best Paid Survey Sites – Here is a list of the highest paying survey companies that we recommend. Best Paid Survey Sites by User Rating – Here is a list of all paid survey companies ranked by you! Our surveys are still open, so if you don’t like the ranking, change it. Legit Paid Surveys in 100+ Countries – If you are not from the US, find what surveys are available for you. “Paid Surveys Cash” is our advanced guide on paid surveys. Here we included everything we know to make one of the most advanced guides that help people make money with paid surveys. Tips, Hacks, A Lot of Useful Information! And please “Like” our video about Paid Surveys Cash Guide. Full Guide to Registering With A New Panel – Registering with a new survey panel is very easy. If you want, read how we do it. The Ultimate Guide to Special Paid Survey Opportunities – You always can make more money with paid surveys. We said that many times. Many people lose money because they avoid benefits. Don’t be one of them and then complain that you can’t make more money with paid surveys. Here we teach you what you can do to make more money through each panel. How to Find Legitimate Paid Surveys – Read this only if you plan to register with panels that are not listed on our site. On EliteSurveySites you can find only legit and tested paid surveys. You can also find more tips on how to find legit paid surveys in this video, and please “Like” it. Let’s make some money today!